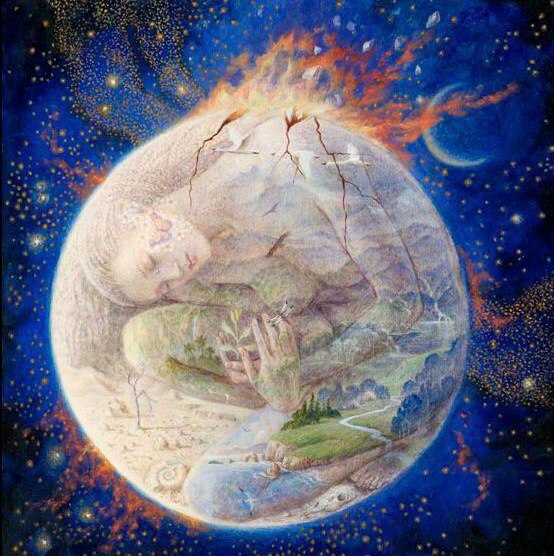 There are silent changes taking place within Mother Earth at this time. 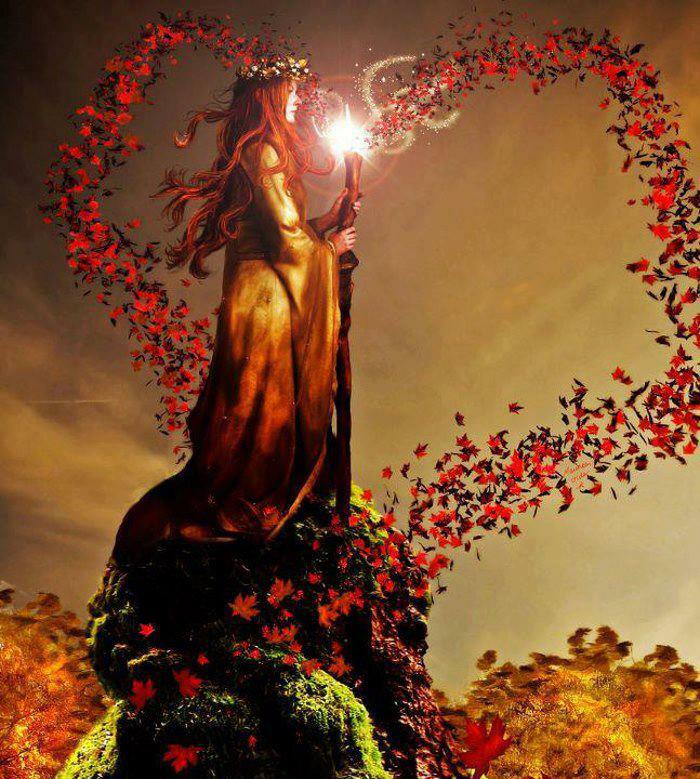 Her Heart is quickening and calling forth the transcendent light from the Cosmic Heart. The forests and animals and oceans know that there is a new energy in our physical realm. When we spend time in Nature we can feel her and she is able to connect deeply with our hearts. We are her children and we are one with her - the entire physical world is one Being. In the physical world we are all the feminine polarity to the spirit. The most potent part of our energy body has been locked up for a very long time. We are just beginning to see it awaken on the planet and many are feeling the call to consciously align with the new, higher frequencies that are now present. The Earth is singing. She is sending out a tone that is calling forth the energy of the heavens with her heart. There is a new sound coming from the trees and the birds. As one world dies, another world is being born. This sacred light that has come to the planet is slowly weaving a web that will lift us when the time comes for our ascension into the Heart. Through our breath, we are all connected. 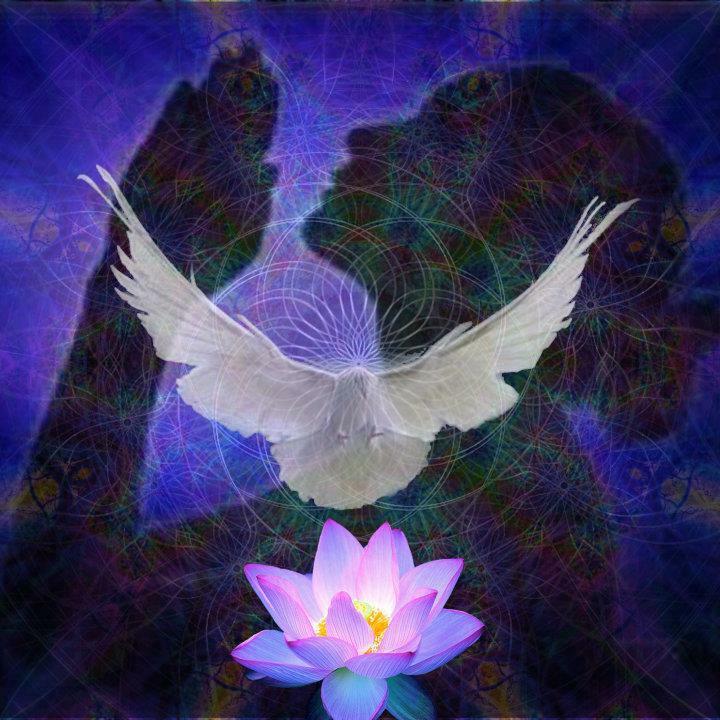 The breath is the carrier of the Spirit. It is the vehicle of the Language of Light. There is one breath moving through all of us and when we return to our breath with consciousness, our heart opens and we begin to understand on the deeper levels of our soul what is taking place. We begin to realize that we are supported by our Mother. She is doing great work at this time for all of us. When we breathe with her, we feel the force of her Love and we become her majestic sons and daughters. It will take both Man and Woman, working together consciously, to do the Great Work of Sacred Union on our Planet. Both bring tremendous gifts to the World and to each other. 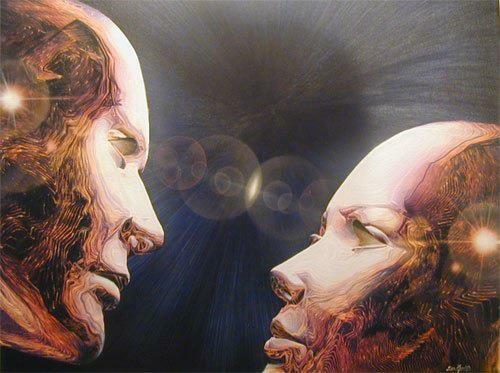 The Collective Man and the Collective Woman are two halves of ONE SOUL. In reality there is only One Spirit within all of us. We all have both Masculine and Feminine within us. In the World of Matter we are ALL the Feminine polarity to the Spirit of the Formless World and we will all give Birth to our Body of Light when we consciously enter into the High Mysteries of our Soul and Spirit- making us all Mothers. In metaphysical and esoteric teachings the word Mother is a loaded Cosmic Force that hides the Great Mysteries of Life. The Divine Father and Divine Mother of Creation are eternally together in Cosmic Sacred Union. We are now preparing to consciously reconcile the Masculine and the Feminine in our World to return to a balance of Mind, Heart and Will. Through the Mystical Marriage, also known as the Inner Marriage of Soul and Spirit, we become Whole. The two halves (Masculine and Feminine) within us become One and we remember how to Give Light to all those we meet along our path. We Shine like the Sun on everyone. As we awaken into a higher consciousness we will be blessed with a New Understanding of our power to create from the Heart in the world of Matter. We will remember how to create from Unity Consciousness. At this time we are experiencing a great balancing of the Masculine and Feminine energies - both within and without. Each of us is a Microcosm of the Planet and the balancing is happening within each of us according to the level we are able to Receive it - which is determined by our individual level of consciousness. During this time of balancing, both Man and Woman will call forth their higher gifts and share them - the greatest being Respect and Love for each other. There are metaphysical gifts that are the counterpart to the physical gifts of Man and Woman - Light and Love. There are also two components to the Feminine - an active and a receptive. There is an emphasis on liberating the Feminine in BOTH Man and Woman now because there has been a long cycle of suppression of the Feminine in both halves of the Human Soul. This Feminine we speak of is the Power of the Heart - which will allow us to have the Knowledge of the Higher Mind and Reason. When the Mind thinks from Love and the Heart feels from Wisdom we have Perfect Sacred Union of Divine Masculine and Divine Feminine and we awaken the Divine Will on Earth. The Feminine Sexual Energy is the most potent force on the planet. Much has been misunderstood about woman's power to create - especially by the Collective Woman. When we fell into the lower consciousness the wisdom of our true power was hidden from us. The world we are living in is being run by the lower sexual energies. They have harnessed the energy of the Feminine and run it through the Fallen Will. Woman is in the process of remembering what she is capable of creating when she aligns with the Light of her Spirit and turns from the illusion that has been projected onto her. The problems that we face as a Human Race will not be solved at the same level of consciousness they are operating on. We must go to the higher vibration within ourselves to remember what this Feminine Sexual Energy is all about and how we can awaken it wisely. This energy will be Received by the woman who has a deep and genuine Love for herself and for humanity. Only a pure Heart is capable of working with this Great Force of Love. It is the most powerful Force in the Universe. The lower energies have taken such a hold of the collective male sexuality. Not every man is under their spell - but the collective male consciousness has been deeply affected by the presence of the Fallen Paradigm and the collective Feminine has a deep wound to heal as a result. This lower consciousness has been embedded on the Planet through the darker sexual outlets. Woman cannot ignore this. If she does she ends up operating within it and giving her energy to it at the subconscious level. At this time we need to access our Wisdom and work together - both Man and Woman. Fighting from the Ego will only create more of the same. Our Sexual Energy was never meant to be separated from Wisdom and Love - when it is it wreaks havoc on us. Everything has a vibration - including our sexuality. It falls somewhere on the spectrum of light to dark. Freedom comes from UNDERSTANDING what kind of energy we are creating with our actions. The Shift in Sexual Consciousness will be initiated by the Woman. Woman can go within herself and seek the real Reflection of her Light and change the Mirror in the World. She can show Man a different image. This is the gift of the Feminine. The change won't come from trying to control the Fallen Paradigm - it is too strong at this time. The old energies will fall when the New Feminine Truth is shining out from Woman. As we see this start to happen we will have a deeper Understanding of what this energy is all about and how it can be used to heal our World. We are entering a phase of Evolution that is going to awaken an entirely New Sexuality on the Planet. Everything that we are now familiar with is on its way out. We have taken things as far as they can go to an extreme. The exploitation of the Feminine is coming to an end. The Feminine is destined to lead in the coming Era and there is going to be a reconciliation of our Sexuality with Divine Love. Our Sexuality serves a much higher purpose than we are currently aware of. The Ego mind has no way of grasping this information. It can only be accessed through the Heart. Therefore, the Ego will fight it all the way and go out kicking and screaming like a small child. As we enter the Era of the Feminine and begin the Regeneration of the Human Soul, that which has been of the lower Ego vibration will not be able to withstand the Light. This next Era is going to bring an awakening of the Feminine Force -- the Active Feminine Solar Power which will align us with the Divine Will. Everything about our Sexuality is going to change. Everything. We have been living in a Fallen Paradigm and we have believed a false notion that we can consume one another through the Sexual Act. Our Higher Sexuality is an act of Sacred Union with the Divine and a complete honoring of the Other. Women know this in their Heart but they have become so conditioned over the past cycle to see themselves through the eyes of the Fallen Paradigm and to project this paradigm back into the World. This poses a huge contradiction because it is the Woman who births every male on the planet. Woman is Man's first teacher. If the Woman believes falsely she perpetuates the false paradigm through her Child and it goes on in a continuous cycle. Woman has far more power to affect positive change than she has yet realized. 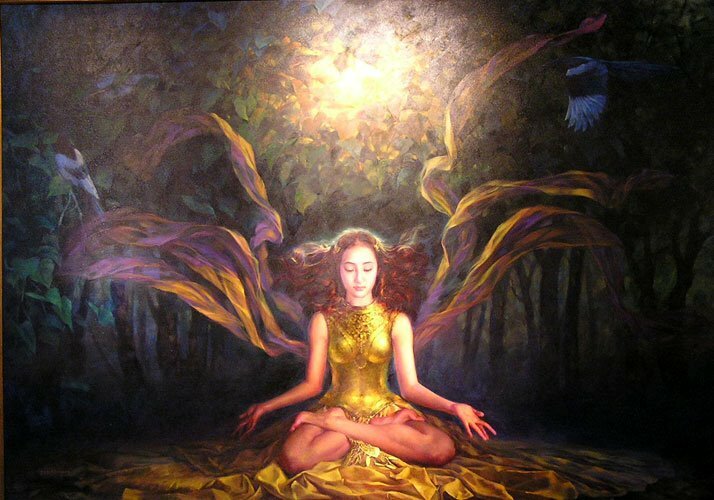 Those who are ready to receive the New Feminine Vibration from the Spirit will be feeling an activation, almost like a download, as we enter into 2013. This power will choose to awaken where there is a Purity of Heart and Soul. It knows exactly where to go and what to do. We cannot fool the Divine. We are totally transparent to the Light Force. Those who have an earnest desire to serve the Human Race with complete integrity will become our Teachers, Healers and Leaders in the coming Age of Love. We are remembering how to see from our Heart. The Heart allows us to see the Spiritual Realm in the world of Matter. It shows us the Formless Reality that holds the Secrets of Life. As we remember how to see from our Heart's Vision we will begin to create from a place of Unity and Harmony and our creations will hold great Magic! The Light Body Woman™ Teleconference hosted by ART OF THE FEMININE has been RESCHEDULED for Wednesday December 19th, 12PM-1PM, Eastern Standard Time. Same call number and same conference code. Many blessings for this day 12.12.12!!! See you next Wednesday!